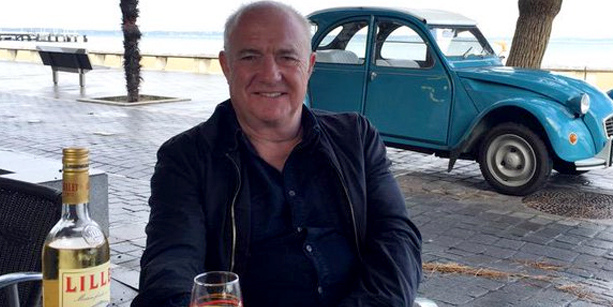 After the success of From Venice to Istanbul, we have been waiting with baited breath for Rick’s new BBC cookery adventure, Rick Stein’s Long Weekends and finally the wait is over! In his new Long Weekend series Rick embarks on extended culinary breaks, all about a 3 hour flight from the UK, visiting markets, restaurants, wineries, cafés and bars, looking for food excellence and also some innovative recipes for you to cook at home. His first adventure began in an autumnal Bordeaux where Rick started at La Tupina Restaurant to sample gratton with radishes, roast chicken, côte de beouf, wood pigeon roasted in duck fat and wrapped kidneys with caul. He ventured over Napoleon Bridge speaking about Bordeaux architecture. Rick explored a wine fountain then tucked into breakfast of tartine burée and black coffee back at La Tupina. Rick explored the perfect dishes that make up French lunches including rabbit with prunes, steak tartare, petit salé, poulé au pot, duck confit and cassoulet while tucking into a crew lunch at Chez Mémé. We were then whisked back to Rick’s cottage in Padstow where he showed us how to make a chicken parmentier dish. In true Rick style, we are then taken to vineyard Chateau Phélan Ségur to meet Véronique Dausse who talked about her vineyard before showing us the winemaker’s barbecued cote de bôeuf with a marrowbone topping. Next, whilst musing on Bordeaux, Rick takes us to seafood restaurant, Le Petit Commerce, where he tried grilled fillet of maigre a la plancha. Fried ceps sprinkled with garlic and parsley was the next dish on the menu at Marché de Capucins in Places des Capucins, which left Rick pondering on what makes for the perfect long weekend. Next we met Gael of Garopapilles Restaurant for a selection of dishes paired with wines. First up were clams in the shell with an emulsion of smoked ham, crab with a purée of Jerusalem artichoke, herring roe with hard goats cheese and smoked bell pepper cream paired with Chateua de Charmes-Godard, a 50/50 split of Sauvignon Blanc and Sémillon. Then Rick tried veal with pan friend ceps, shallots, lardons, grapes and croutons, pumpkin ravioli with a beef stock sauce and then, preserved lemons, black olives topped with slices of truffle, truffle foam and cucumber flower. These dishes were paired with Chateau Belle-Vue, a Cabernet Sauvignon, Merlot and Petit Verdot. The meal finished with caramel parfait with rice crispies, chocolate, caramel ice cream and pineapple sage leaf. After so many wonderful dishes, Rick attempted a swim in Cap Ferret but had to abandon it, heading next to Chex Hotense Restaurant a la Pointe for some mussels. Back in Padstow, Rick showed us how to recreate the dish: mussels with Bayonne ham and fines herbes. Rick sampled the local wine, Lillet, at the Casino Royale before visiting Angelika Hermann’s oyster farm, Arcachon Basin Oysters. He then stopped at the Grand Hotel de Bordeaux to try a classic sole meunière. After musing over the large queues both day and night for L’Entrecôte, Rick took us back to his cottage in Padstow where he cooked the final dish for this week: steak frites with Bordelaise sauce. The episode ended with a visit to Gavin Quinney at Chateau Bauduc where Rick tried Pauillac lamb with petit pois and pommes Dauphinoise, followed by a wine tasting at Syndicat Viticole des Graves. Enter your email address to pre-register your interest for Rick's new recipe book to be released this autumn. Pre-order the book by completing your details below, we’ll then contact you later in the year to let you know release date and the price of Rick Stein's Road to Mexico.